Four undergraduate students discussed the challenges they face in college and the changes they feel are necessary to create a welcoming environment for low-income and first-generation students. The panel was hosted by the Socioeconomic Acceptance and Diversity Alliance (SADA), which will become an RSO next fall, at OMSA on Thursday night. Last quarter, third-year and founding SADA member Lynda Lopez began connecting with other RSOs including Movimiento Estudiantil Chicano de Aztlán (M.E.Ch.A. ), Organization of Black Students, as well as OMSA, in order to gauge student interest in an RSO dedicated to issues surrounding low-income and first-generation students. She found a core group of people that eventually founded SADA. 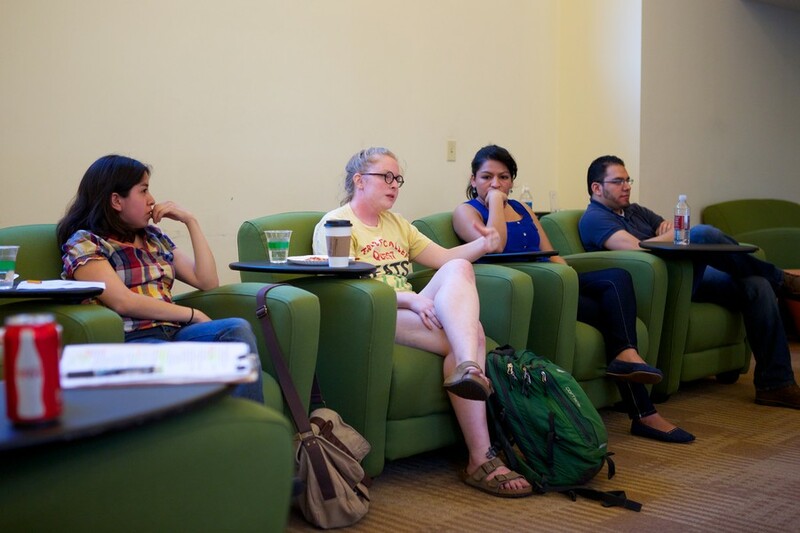 Beginning this quarter, the group has led small group discussions. In an interview with the Maroon, de la Rosa outlined the three main goals of SADA. The first is to advocate for more resources for low-income students, like hiring an advisor specifically to work with low-income and first-generation students. Secondly, the group hopes to create a social venue that brings together struggling low-income students from programs like QuestBridge and recipients of the University’s Odyssey Scholarship. The group’s third goal is to begin visible, campus-wide discussions on socioeconomic class. In comparing UChicago with other elite institutions, including Princeton, Harvard, and MIT, Lopez said that resources for low-income and first-generation college students were lacking at all the schools but that the other institutions were starting to address issue through support groups and mentoring programs. The panel was comprised of third-year Lynda Lopez, third-year Valentina Solano, third-year Liz Denhup, and fifth-year Luis Amaya and moderated by fourth-year Cynthia de la Rosa.